5 things you should know before letting someone into your home! Your services and your workers were wonderful! Maggie Maids were great! We needed someone last minute and they were there for us. On time, hard working, fair priced and just very nice people. We will continue to use Maggie Maids for all of our service needs. Thank you Maggie Maids! I love when my apartment sparkles! The Ladies did a wonderful job! Thank you! Dear Maggie, I am writing to let you know how happy I have been with your service to my home and our family (…) I am so grateful to her for her hard work. When she leaves, my floors shine, my bathtubs sparkle, and my house smells clean! We all look forward to her coming! I would highly recommend your services to anyone. "Every person who has a place to live, hang out or work that requires a clean, fresh space around them, gets peace of mind, freedom and more time to focus on things they love." Maggie Maids was established with the mission to provide professional home cleaning and maid services to the Chicago region. 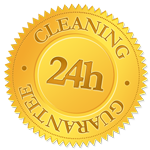 We understand that our clients have multiple responsibilities that keep them from regularly cleaning their house - we're here to help! Take advantage of our current promo! Mention promo code: "Second Cleaning Discount"
© 2019 Maggie Maids Cleaning, LLC. All Rights Reserved.